Chrichton's World: Review The Reckoning a.k.a. Morality Play (2003): Beautiful film since it shows light in a world that is full of cruelty and darkness. Review The Reckoning a.k.a. Morality Play (2003): Beautiful film since it shows light in a world that is full of cruelty and darkness. In a lot of comments and reviews it was said that The Reckoning reminded them of the brilliant The Name of the Rose (1986). And yes in some ways it is similar only you do have to be aware that this could raise expectations the film can't possibly deliver since this is less mysterious and more about the reckoning of main character Nicholas (Paul Bettany) hence the title. The Reckoning moves in quite a fast pace and only halfway through does it slow down a little. I think this is done deliberately so that the internal struggle of Nicholas is shown to us. Nicholas is a priest on the lam for a very good reason. He stumbles upon a traveling band of actors and joins them. It is here he finds trust and friendship and reveals his secret or at least a part of it. Mind you it's not really hard to come up with the rest of his secret since it is heavily implied but that is the whole point. The audience is made aware what lays on his conscience and why he feels so compelled with the murder of a boy. I have to applaud Paul Bettany yet again. The actor is phenomenal. He can do so much with very little. And he really conveys to you that he is deeply affected of the sins he has committed. The band of actors play a huge part to help him see he can somehow redeem himself a little. This band consists of Willem Dafoe, Brian Cox and a young Tom Hardy who really enjoyed performing the female roles in the plays they staged. In these (medieval) times that was pretty common so don't go thinking something else. It is Willem Dafoe's character Martin that takes him in and offers something to Nicholas he could not dream of. It is implied he did this for selfish reasons but if you follow his character properly you can tell that he is a good man and sincerely wants to help this troubled man. It is he who decides to tell the tale of the murdered boy and where Nicholas insists to take it further and investigate since he is convinced that the deaf mute woman who is charged with the crime is innocent. For the most time you are left in the dark about the murder and it is interesting to see the mystery surrounding unfold little by little. But at one point it becomes apparent of what is going on. It is here where the film could have gone all kinds of directions only decided to stay close to something anybody could relate the most to. Our morality and humanism. The Reckoning therefore is an incredible beautiful film since it shows light in a world that is full of cruelty and darkness. 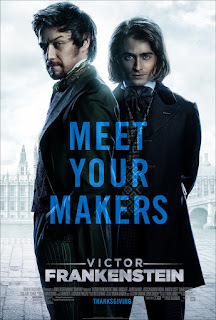 Director Paul McGuigan has done a tremendous job with this tale and it is therefore unfortunate that he forgotten how to do the same with his Victor Frankenstein.